Walmart is finally realizing that their stores are not necessarily liabilities, as Amazon continues to capture market share. They have taken many broad initiatives over the last few years, all in an attempt to merge their burgeoning e-commerce presence with their existing brick and mortar business. No initiative speaks to this effort more than “Click & Collect”, which allows Walmart customers to purchase online and have the product picked out of store inventory and ready to pickup in a very short time without a delivery fee. Currently, “Click & Collect” is available in approximately 1,800 stores, which is up 100% from a year ago. Walmart has also been providing improvements to the “Click & Collect” program based on customer’s feedback such as helping loading grocery items into consumers’ cars and adding lockers to house larger items like TVs. 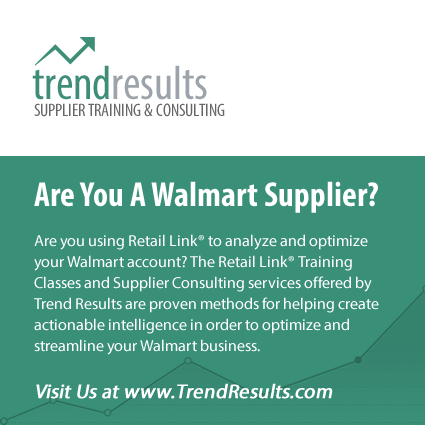 The consumer response has been overwhelming and has allowed Walmart to leverage their existing and robust brick and mortar infrastructure while capturing significant e-commerce market share.